The Aropey 160ml Ultrasonic is our pick for the best essential oil diffuser, which comes with 7 LED colors and can be set up to 180 minutes for its timer. It has a low water level indicator and can be used in spas other than your home to keep the air as fresh as possible. Our step-up pick is the TomCare 500ML Square and this diffuser is also great for allergies and can be filled up to 5 drops of oils per 100 ml. It has continuous modes as well as 7 lighting options that can cycle. It has many timer options as well as an adjustable misting mode. The budget pick is the URPOWER 2nd Version and you can also use it for hotel rooms and public places and it has programmable options for the cycles and the like. It has an auto shut down feature and has a nightlight feature. It operates whisper quiet for easily sleeping. Essential oils are a great addition to any home because they add a lot of calmness and relaxation. Most homes that have air conditioning units or even those without can benefit from an essential oil diffuser for the guests and for the whole family. Each unique oil can have a different scent that is not very strong unlike perfumes that are chemically made so they won’t cause allergic reactions when you breathe them. An essential oil, when purchased from a reputable brand, should always be fully natural and extracted from renewable sources like plants. Essential oils have come a long way in history, and today, they are still being used for various therapeutic purposes or even just acting as an air freshener for your home. Do take note that essential oils can be expensive so they can only be afforded by most middle to high class homes. To diffuse an essential oil in your home, you need an essential oil diffuser. 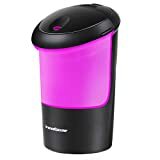 It is like a humidifying device that spreads the mist in the air from your essential oil so that you can be able to breathe your favorite scents. They can diffuse faster and more evenly and can help your home stay fresh and clean smelling, if you choose natural scents that are not too strong and just right for people. Using an essential oil for your home scent can be a little bit of an investment, but it will be worth it if you often receive guests. During the rainy days or cold days, when the air is making mold grow faster and bacteria could spread, you need to both purify the air and make it smell good. Aside from an air purifier, an essential oil diffuser can be a great addition to your home. There are many kinds of essential oil diffusers – from electronic ones to manual candle burners. They all work differently and each have their own purposes and kinds of oils you can place. But the great thing about essential oil diffusers is that you can mix your own flavor or scent of essential oils so you can customize depending on the type of mood you want for your home or room. 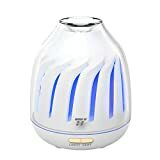 Whichever essential oil diffuser that you choose, it is important that you pick the right one with the features that are useful, such as timers, lighting and the like. It is also crucial that the essential oil diffuser that you pick will accept nearly all kinds of essential oils for you to mix. In addition to that, you will need an essential oil diffuser that is easy to operate so you can sleep well while it runs. Style: the style of an essential oil diffuser should be your first choice. There are many kinds of essential oil diffusers out there, such as the bowl shape or the taller one. Some of them have lighting while some don’t, and just have a rustic wood finish for a touch of class. You should depend the style of the essential oil diffuser on where you will place it in your home so that it can cleanly match your existing furniture. Manual or electric: do consider whether you want an essential oil diffuser that is manual powered (candle burner) or electric. Take note that an electric diffuser is easier to operate than the manual one because it can run even while you are asleep and won’t cause fires unless it is a low quality brand that does not have electrical protection. On the other hand, a manual essential oil diffuser can have better and more natural diffusing technique. Controls: the ease of controls should be consider in an essential oil diffuser. It should be easy to set the timer, to adjust the lighting and to control other factors. The switches should be conveniently located in the essential oil diffuser to make it easy to setup. Lighting options: most electric essential oil diffusers have lighting options that you can switch. Most of these diffusers have multiple colors for their design and can also cycle on the colors. You can use the essential oil diffuser as a nightlight or as an additional décor at home for the guests. If the lighting is adjustable, you can complement the colors of your home or room. Oils you can use: do consider what kinds of oils can be used in the essential oil diffuser, as stated in its user’s manual. Certain oils might not work well with all essential oil diffusers so you should know which one works well. Warranty policy: consider the warranty policy of the essential oil diffuser, its durability, its return period as well as which parts are covered by the warranty. 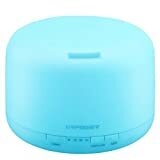 The Aropey 160ml Ultrasonic is our best essential oil diffuser which is made with BPA-free material, has an automatic off feature, whisper like operation, has a compact size and an easy to clean shell or housing for most homes. With a noise level of lower than 30dB, it can cover up to 35 square yard. As a diffuser, it is backed by a 1 year warranty. The only concern about the Aropey 160ml Ultrasonic that is not a deal breaker is that it is quite small, so it might not be ideal for really large rooms. The TomCare 500ML Square is our step-up pick, which can look unique on your tabletop or desk due to the square design. It can run up to 10 hours and can be great for bedrooms for a good quality sleep and relief from colds. Having an auto shutoff feature, it is so quiet that you can use it for sleeping and studying. It has a 1 year warranty. The URPOWER 2nd Version is our budget pick, which can take up to 100 ml and is great for small rooms, offices, home rooms and baby rooms. It has 7 LED lights with different colors and can also be a humidifier. Operating up to 6 hours, this PP constructed diffuser comes with 2 mist settings and can have an intermittent setting. The 2017 ASAKUKI 500ml is a great diffuser that has 7 light options and an auto off switch. It has a humidifier option as well and you can set the timer depending on your needs. It can improve the air quality of your home. 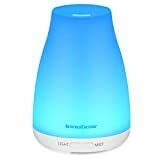 The InnoGear Aromatherapy Diffuser can help eliminate pet odors and has a total of 7 changing lights as well. You can also whisk away smoking odors with this diffuser and it has an auto shutoff feature. It has a portable design for home and office use. The TaoTronics No-Beep Diffuser has a breathing lighting design with 5 colors and can be used as a night light. It has 2 fog settings and has a silent operation for any bedroom. It has an auto shutoff feature when the water is empty. The SmartMist Aromatherapy Diffuser has an LED light that is adjustable and also comes with an humidifier and air purifier function. It has 3 settings for misting and operates vey quietly. It also shuts off automatically. The VAVA EssentialOil Diffuser has a capacity of 90 ml for its tank and can operate up to 16 hours. 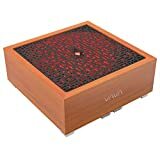 It has a Japanese Zen garden design that looks attractive and unique plus it is made with an oak wood outer housing that looks very attractive. The InnoGear USB Diffuser can be used in your car or anywhere with a USB connection. Available in both black and white colors for the housing, the LED lights also change. The materials are BPA free for safety and has an auto shutoff feature. 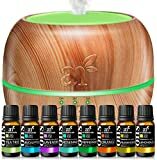 The ArtNaturals Aromatherapy Set has 7 lighting options and also comes with a set of 8 oils for you to start with, which makes it a perfect gift for someone who is new to aromatherapy. It has a sleek design and automatically shuts off when low on water. Other essential oil diffusers did not make it here because they lacked options on how to time the diffusing and also were not good enough in diffusing the oils into the air. It is important for an essential oil diffuser to be effective so as not to waste precious oils when diffusing. Q: What are the different kinds or types of essential oil diffusers? · They give you a fine mist that is evenly dispersed throughout the room. · They don't give you a lot of noise levels, so they are good to sleep with. · They won't give you a problem with losing the quality of the oils, since they don't heat up like candle burners. · You won't have a problem with potential house fires because you are not using candles or heat. · They have timers so they can automatically shut down when you want them to. · They are not advisable for use with carrier oils. · Citrus oils and other thick oils might be okay but you need to thoroughly clean the essential oil diffuser afterwards. · Some can still be higher priced depending on the model. · They are super easy to setup and the simplest of all. · Because they are all-natural, you don't need to spend a fortune on them. · They're great for small rooms or on-the-go diffusing. · They’re not good for longer lasting scents. · You have to manually do things in this passive diffuser. · They don’t have the fancy lighting and design. · They're great for respiratory problems and illnesses. · They can be used even with thick citrus oils. · You don't need water for them to run. · They get into your bloodstream easier than ultrasonic diffusers. · They are more expensive than ultrasonic diffusers. · The scent doesn't last longer than ultrasonic diffusers. · You still can't use carrier oils as well as resinous oils. · They are manual so they don't use electricity at all. · They add style to your home or room, especially if you choose a unique design. · They can also act as decor for certain restaurants and public places. · They are affordable in general. · You can use them in a shop, public place or even your car instead of your air freshener. · Carrier oils can be used in this essential oil diffuser. · They may not be powerful enough to diffuse oils into the room. · The scent may not last long enough. · They have a stylish look that can be used to decorate your home or space. · They are easy to use with pouring drops of oil into the top bowl. · They don't consume electricity at all (for the manual candle types). · Some of them are cheaper and more economical than ultrasonic diffusers. · You can use them with carrier oils as well. · They generate heat so it might damage the oils when you diffuse them in the air. · Candles that are left unchecked can cause potential fire hazards. · Even electric models that heat up can cause fires. · They are portable and can be carried anywhere. · They can be used in the car or any vehicle. · They're great for the rainy days when you car smells funky. · Some of them can be cheaper. · They may not be as longer lasting as regular diffusers. · Some argue that fanning might decrease the quality of the diffused oils. · They are great for small spaces. · They are super affordable. · Anyone can use them for as long as they have a USB port. · They can be used in a laptop. · They don’t last long compared to regular diffusers. · They may not be as durable as regular diffusers. · They look cool and unique and people won't realize they are diffusers. · You can use them anywhere and anytime you like. · They don’t last long for their diffused oils. · They probably won’t cover an entire room due to their size. Q: What are the different benefits of an essential oil diffuser? You can get a lot of relief from stress with an essential oil diffuser. After a long day of work or school or any kind of career you are into, there is nothing like the stress relief that an essential oil diffuser can offer with its different oils you can choose. There are specific oils that are meant for relaxing, such as frankincense, rose, chamomile, bergamot and lavender. If you are having trouble sleeping then an essential oil diffuser can help you. If you choose lavender, valerian, ylang ylang or vetiver then you will find it easier to sleep and relax. For those with insomnia or worries during the day, a good essential oil diffuser can help you ease your mind and have a good night's sleep - provided that your essential oil diffuser is quiet. You can also protect yourself against sickness with an essential oil diffuser. Lemon and oregano are great for colds and cough while peppermint is also good for cough and other respiratory problems. If you put them in your essential oil diffuser then you can decrease the chances of or cure coughs and colds as well as alleviate other respiratory problems. Vitamin C oils can help boost your immune system and also potentially kill bad bacteria. There are certain essential oils you can put in the diffuser to keep insects away. Citronella and lemongrass are great for mosquitoes and you can also use cedar wood, rosemary and clove to ward off other insects. This is a great way to use your essential oil diffuser in your deck, terrace, porch, patio or outdoor area where bugs and insects might ruin your day or cause other problems like illnesses and bug bites. You can even use an essential oil diffuser as a replacement to incense and candles. If you use regular candles then you may be bound to inhale harsh chemicals, unless you have homemade wax candles. On the other hand, an essential oil diffuser can also be a replacement for scented candles since they don't give a fire hazard (unless you have a heat diffuser). People with allergies can benefit from an essential oil diffuser. Eucalyptus and tea tree oil are great allergy treatment oils, as well as basil and peppermint. If you have these oils in your essential oil diffuser, you can help your itchy throat and allergic rhinitis to level down a bit because it can help improve the air quality in your home. You will also feel energized with certain oils in your essential oil diffuser. Oils such as rosemary, ginger, vanilla, lemon and other citrus oils can help you feel energized throughout the day, so it's great to add them to your office room, cubicle or home workspace to get productive and creative throughout the rest of the day. Peppermint can also help you boost sporting energy while eucalyptus and pine are good for studying or clerical work. An essential oil diffuser can also be a natural air freshener instead of depending on commercial chemicals that you may have been using. Their scents are not very irritating if you use authentic and natural oils instead of fragrance oils or air fresheners. The essential oil diffuser only uses natural oils and essential oils so they don't give that off-putting smell that your parents may not like. You can also set the mood in your home with an essential oil diffuser. For example, Christmas can call for pine and cinnamon while a romantic date can be filled with rose, jasmine, ylang ylang or sandalwood. Setting the mood is one of the best benefits of an essential oil diffuser. Q: What are the benefits of essential oils in general? Immune system: and essential oil can help boost your immune system if your use the right oils such as citrus, lemon, eucalyptus, oregano and the like. Illnesses: you can help recover yourself from illnesses such as cough and cold if you use essential oils like oregano for cough, lemon and eucalyptus for cold and other citrus oils as well as peppermint oil. Hormonal balance: some essential oils can be used in alleviating hormonal imbalance, which can occur to teenagers, menopausal women and the like. They can help eliminate mood swings and PMS when used properly. Beauty products: some essential oils are capable of being included in a homemade beauty product such as a toner, shampoo, conditioner, body wash, bath and the like. There are many awesome essential oils out there that are meant for homemade beauty products like soaps. Infections: some specific essential oils, when recommended by a health professional, can actually speed up healing of certain infections like wounds. This is also important if you need an essential oil to help alleviate irritations and the like. Topical use: some essential oils can be used topically when they are diluted, so you can use them for wounds, for improving your skin condition and other factors. Make sure you read the label first before you consider using the essential oil for topical use. Bug repellant: most essential oils like citronella can be used in a homemade spray for repelling bugs like mosquitoes and the like. This is a good way to drive the pests away in your home or in your outdoor area. Cleaning products: certain essential oils can be used to add to your homemade cleaning products such as lemon for cleaning floors and bathrooms to give off a good and clean scent. Aside from keeping the air fresh, you can use these homemade cleaning products so you can avoid the harsh chemical smells. Q: What are the different kinds of essential oils and where do I use them? · Sandalwood – ideal for romantic energy and for couples. · Lemon – lymph drainage and also for a homemade cleaning product. · Eucalyptus – for allergies and respiratory problems. · Citronella – for mosquitoes and bugs. · Coffee – for boosting energy and wakefulness. Q: What is the difference between an oil burner and an essential oil diffuser? The oil burner is actually called the ceramic diffuser or candle / heat diffuser. They are not very good at diffusing oils because the heat kills some of its components and result in a less fragrant or less effective diffused oil in the air. They also have a tendency to cause fires. 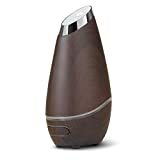 The essential oil diffuser usually refers to the ultrasonic diffusers that use water and not heat is required to diffuse the oils into the air. They may be more expensive than oil burners but they are safer and most of them are quiet and stylish. Q: Why is it not a good idea to use fragrance oils in an essential oil diffuser? · Your diffuser might form cracks due to the harsh chemicals in the fragrance oils. · Some dark spots may form on the body or housing of the essential oil diffuser. · The diffuser might not work anymore if you keep using these fragrance oils. · They may also not be that good for your health because of their chemicals that are similar to perfumes. Q: What could be wrong if my essential oil diffuser stops misting all of a sudden? You may be using purified water or distilled water, which does not contain many minerals. Tap water is the best way to get your diffuser to work because it still contains the minerals that are needed to carry the oils into water vapor. The essential oil diffuser may need to be cleaned on its ceramic disc. Having an unclean essential oil diffuser can make it clogged and not run at all. You can use soft cloth plus warm water and alcohol if needed, to remove the residue left by the oils. Consider lukewarm water instead of cold water in your essential oil diffuser. If you use water that is too cold then the essential oil diffuser might not run at all, since most essential oil diffusers are most likely meant for lukewarm water. Q: What areas of the house should I avoid with an oil diffuser? · Hardwood - consider keeping it away from hardwood items like furniture, tables, chairs, ceilings, dressers and the like. This is unless they are specially sealed and finished with coating. · Delicate fabric - consider keeping it away from certain delicate fabric such as bedding sheets, curtains and the like. Q: How many drops of oil can I add to an essential oil diffuser? The size of your room - you need to add more drops to your essential oil diffuser if you plan to use it for a large room such as your living room or master's bedroom or even your dining area. The purpose of the oils - make sure you choose the right oils for the right job. For instance, if you want to keep your indoor air fresh then you should add just the right amount. Otherwise, you should add more if you have pets or you just finished cooking. The type of oils - some oils are longer lasting than others so you may only need to add a few drops instead of many. It can also depend on the brand that you choose. · On the average, 5 to 15 drops is a good number for most common oils like lavender but you can increase that number if needed. · You can also mix oils depending on your preferences instead of focusing on just one oil. Q: Is there a difference between natural oils and an essential oil? An essential oil is simply the basic form extracted from plants or plant parts such as the leaves, roots, flowers, stem, bark and the like. They are a single flavor or plant and are pure and concentrated. A natural oil is a mix of various essential oils to form a different kind of oil or substance. It involves more chemical processing but still comes from natural ingredients so they are still safer than fragrance oils. Q: Is there a difference between essential oils and fragrance oils? Essential oils come from natural sources and are usually more expensive. They come only from reputable stores and brands and it is hard to look for them in retail and novelty stores. They can be taken internally or used topically, other than being used in an aromatherapy diffuser. Fragrance oils, on the other hand, are simply chemical replications of essential oils and not the real thing. They are only meant for scent burning and not for essential oil diffusers because they contain harsh chemicals. However, they are still beneficial somehow because they smell good. Essential oils are very expensive per bottle or set. Fragrance oils are cheaper to buy for the average person. Essential oils can be applied topically, taken internally and used in any diffuser. Fragrance oils are limited to reed diffusers, manual diffusers and cannot be taken internally or applied topically due to the chemicals. Essential oils do give off more natural scents. Fragrance oils, when properly formulated, can still give off a similar scent to essential oils. Essential oils are harder to manufacture because not all countries in the world have the same crops (e.g. lavender doesn’t always grow on Asian countries). Fragrance oils are easier to manufacturer through laboratories. Q: How does an ultrasonic diffuser compare with reed diffusers and scented candles? Can be expensive but will give a good return in the long run. A cheaper option that can be found anywhere. Extremely cheap and can be bought from anywhere. Great for large rooms as well as medium sized rooms. Only ideal for small to medium sized rooms. Also great for medium to large sized rooms. Looks attractive, aesthetic and has a clever design. Can also look attractive with a unique design. May also look attractive at some point, depending on the design. Great for mood lighting if the unit is capable. Most likely has no lighting. The best for natural mood lighting. If you use high quality essential oils, there’s no chance of harsh chemicals. You won’t get harsh chemicals if you choose quality oils. Some scented candles are made with natural ingredients, but most are questionable. Very safe because it’s a manual diffuser that uses no heat and no electricity. Unless you have a watchful eye, you can’t use it overnight or else it might burn your house. You only need water to run it, which can still be troublesome to setup for some people. Doesn’t need any kind of setup at all. Candle drops are definitely frustrating to clean up. Q: Why do people choose ultrasonic diffusers over burners? · Heating can change the chemical composition of your essential oils, which can decrease its quality, so ultrasonic is the way to go. · Burners are more prone to house fires so it's best to stick with ultrasonic diffusers if you want to sleep with aromatherapy on your side. · Evaporation doesn't happen right away to your essential oils with an ultrasonic diffusers, so you won't lose them that fast. Q: What do I need to consider when choosing essential oils? The price of essential oil is always something you should prepare for. Unlike perfumes and fragrance oils, true essential oils are hard to find and difficult to manufacture, so they will usually cost a lot more than you would expect. If the essential oil is not too pricey then there is a chance that it might be fake. The purity of the essential oil must be stated in its label. It's hard to determine this if you're not a chemist or expert with essential oils, so it's best to consult local groups and those who know which brands of essential oils are the purest despite their pricing. Consider the label of the essential oil and what is written there. It should be organic and should display the manufacturer's name, expiration date, distillation date, country of origin, botanical name and indicate that it's wild crafted or not sprayed with chemical based fertilizers. It should also have seals of testing for GC/MS and approved by NAHA. Some can indicate “therapeutic grade” but be careful as some are just bluffing about this. Q: Which companies are the best to get essential oils from? Q: Where is the best location to put an essential oil diffuser? Bedroom: by adding an essential oil diffuser to your own room, you can sleep properly or study better and help yourself relax with the oils. Depending on what oils you put in, you can have a better feeling when you turn on the essential oil diffuser at night to help you relax. Hotel room: an essential oil diffuser can be a great air freshener and mood booster for guests in a hotel so it's a good idea to put one in each room to serve the guests. After all, hotels are supposed to pamper your guests since they are staying for the night. Office desk: having an essential oil diffuser at work is also a good source of productivity and stress relieving. If you feel that your office area is filled with a lot of anxiety and deadlines, you can turn on the essential oil diffuser to help you and the people around you relax. You can also add mood boosting oils to the essential oil diffuser to increase work efficiency. 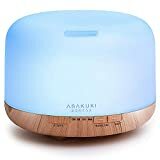 Spa and massage centers: adding an essential oil diffuser is almost a requirement for most spa and massage centers because they not only add to the sensual mood of the center or of each room but they can also have certain therapeutic effects on the customers. Q: Are diffusers noisy or quiet? A: It depends on your unit as some can only have a slight humming sound while some low quality ones can be quite noisy. Q: How much water is needed by a diffuser? A: It depends on your unit but can be about 120 mL on the average. Some small units require less water than bigger units, and it can also be indicated by a reservoir fill line in the unit. Q: Aside from aromatherapy, how else do you use essential oils? Q: What is the usual warranty policy of a diffuser? A: For most diffusers that run on ultrasonic, you might get a limited lifetime warranty and that can cover workmanship and materials, depending on the company. 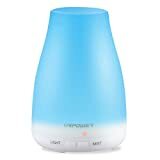 The Aropey 160ml Ultrasonic is our best essential oil diffuser with 7 colors, low noise level and 180 minutes of runtime.